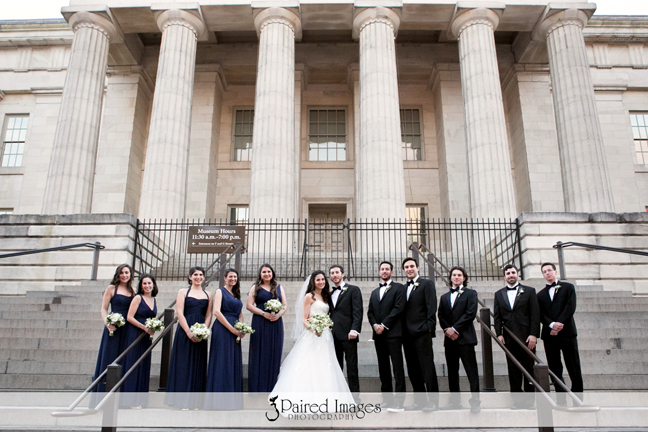 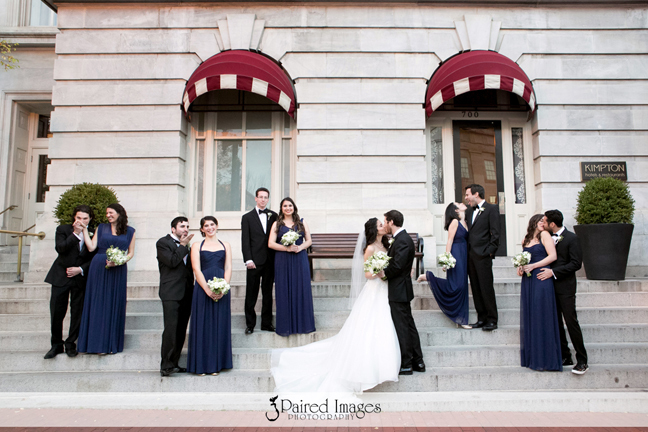 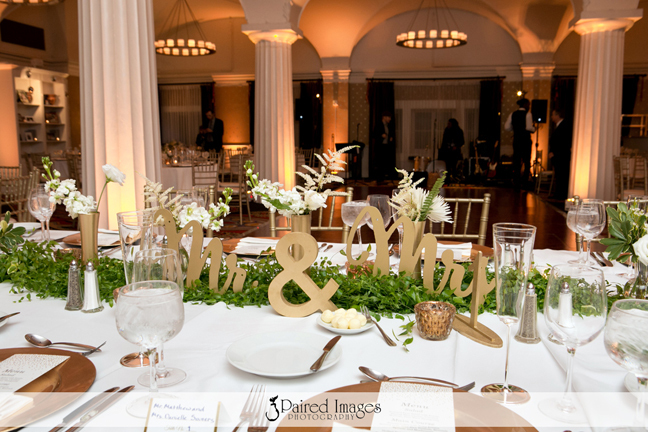 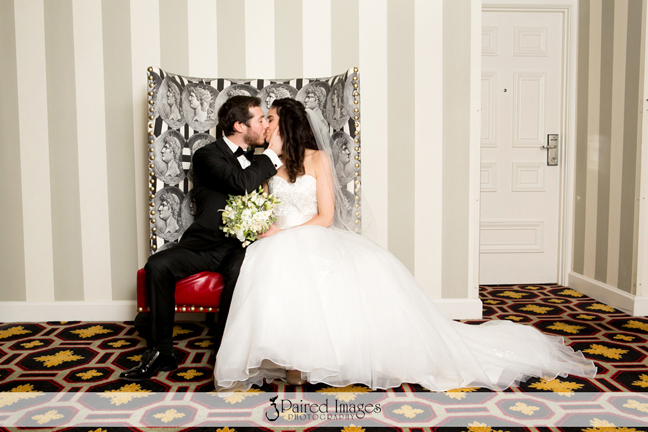 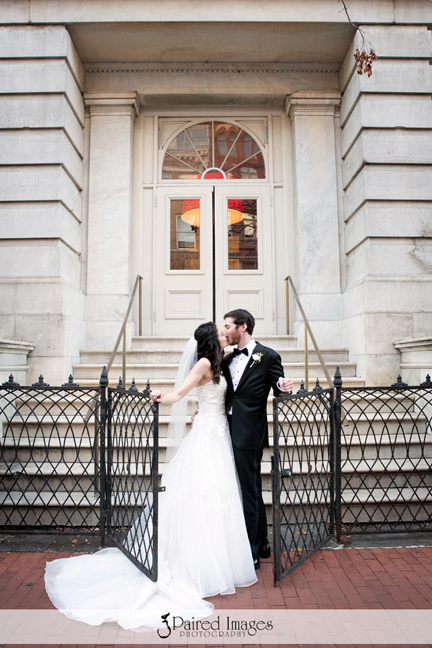 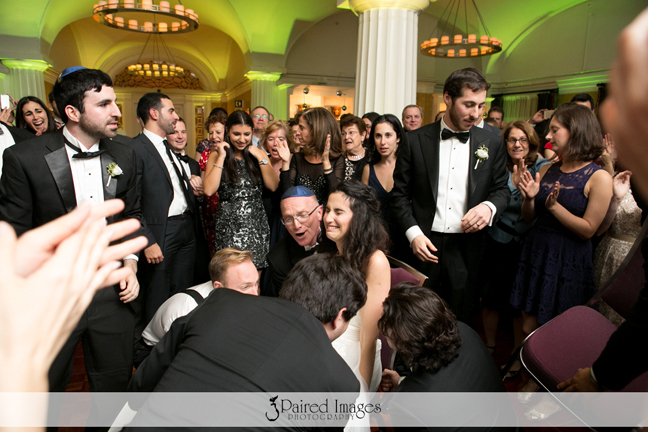 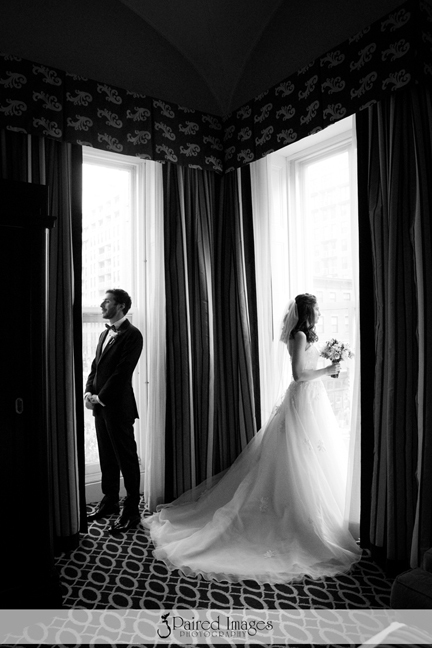 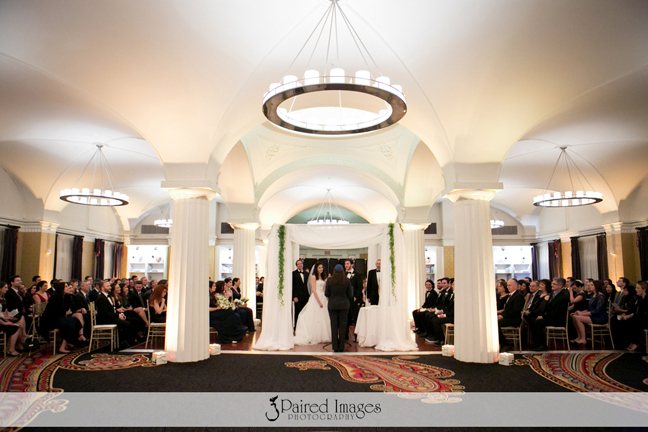 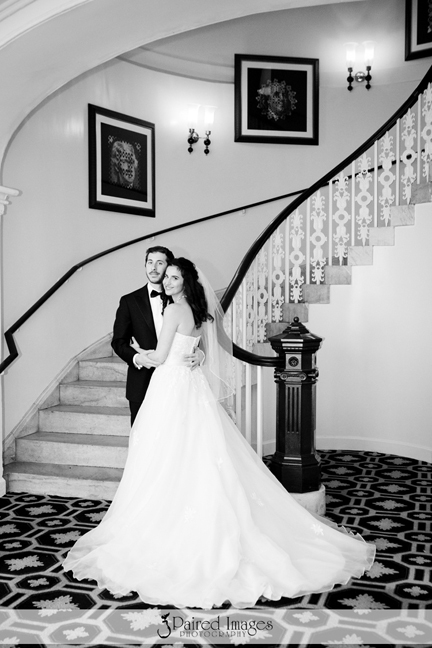 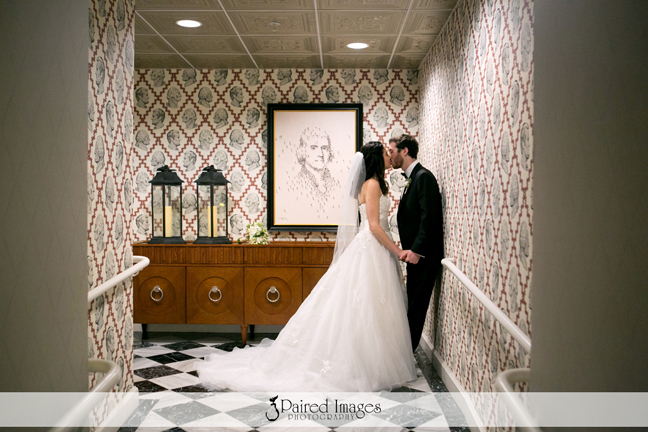 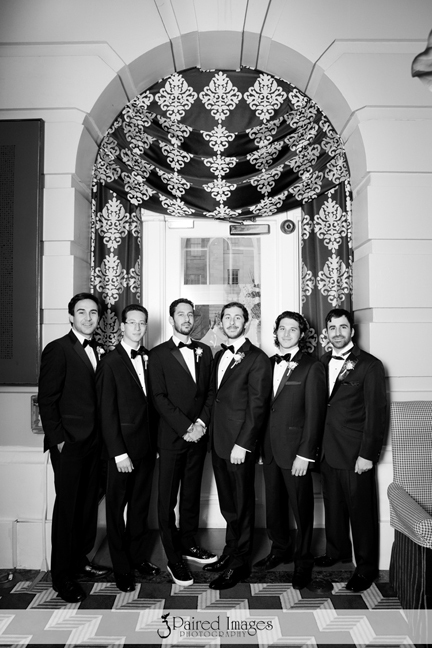 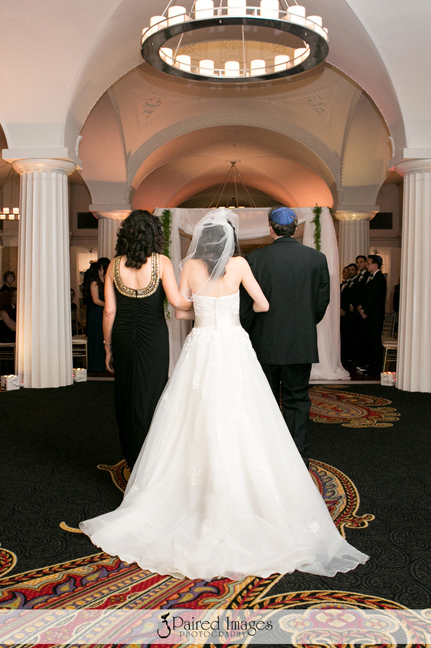 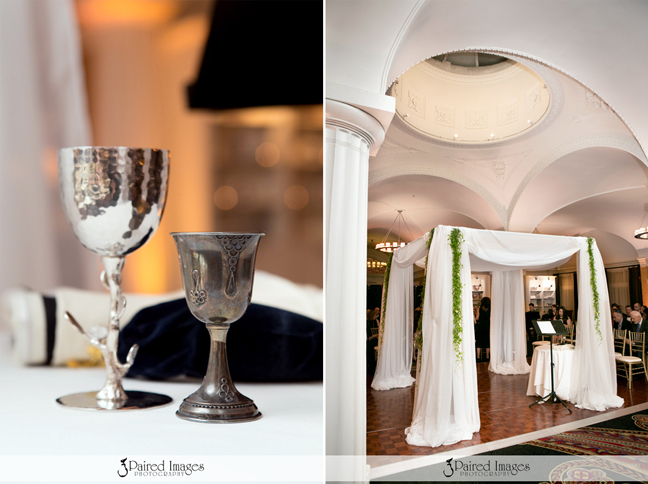 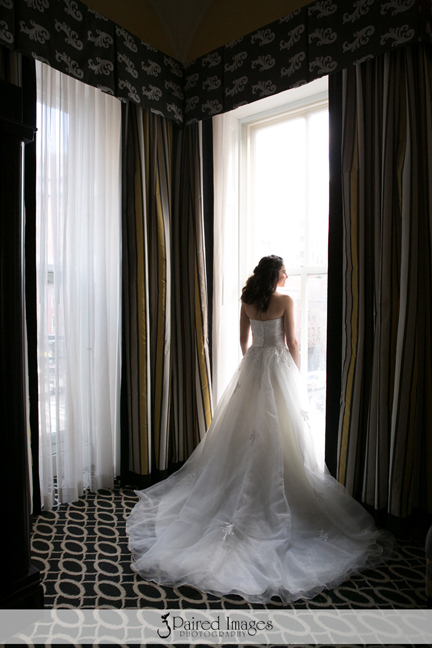 D and M were married at the Hotel Monaco in Washington DC. 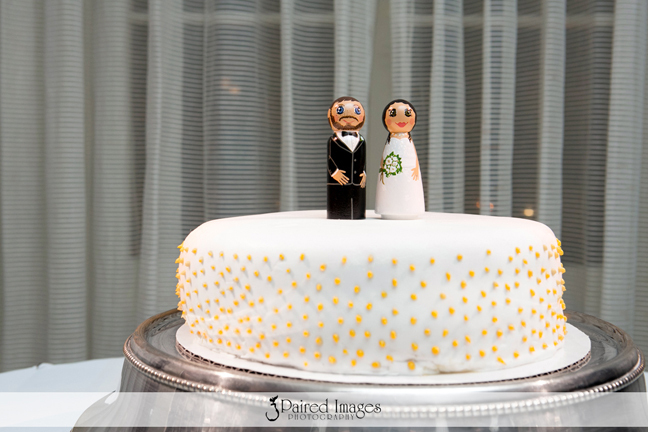 This wedding was very bittersweet for us. 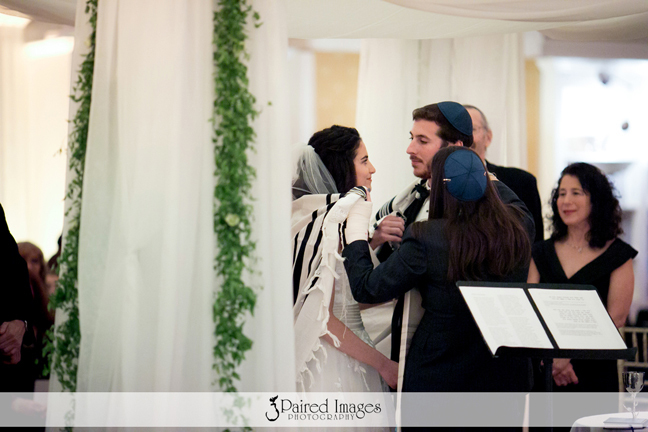 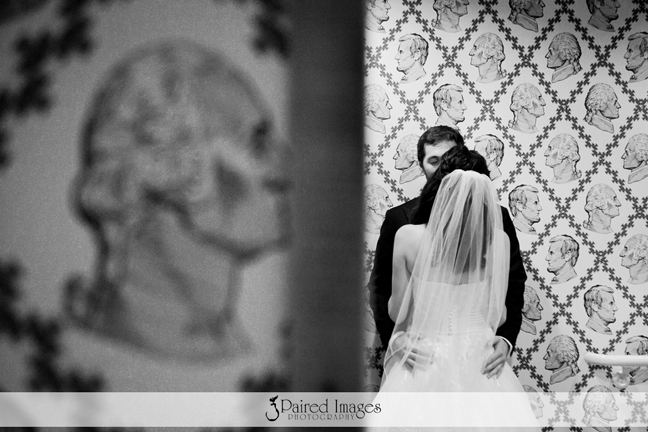 It was Paired Images’ last wedding. 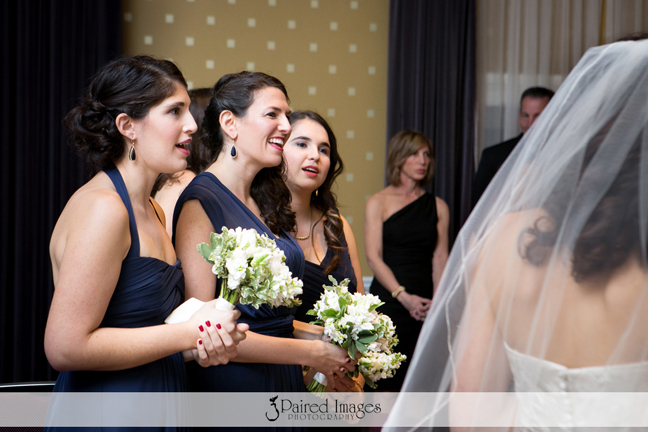 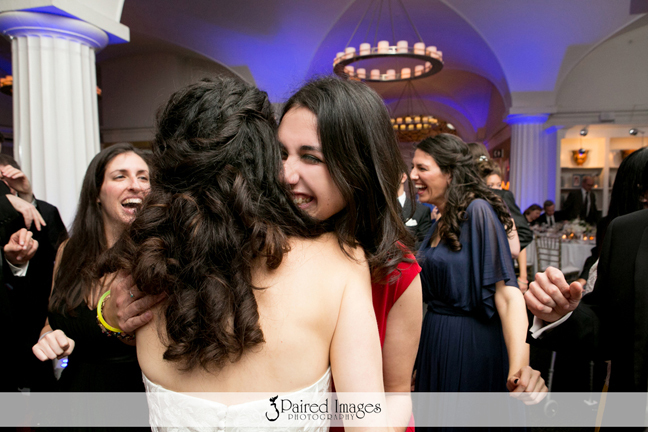 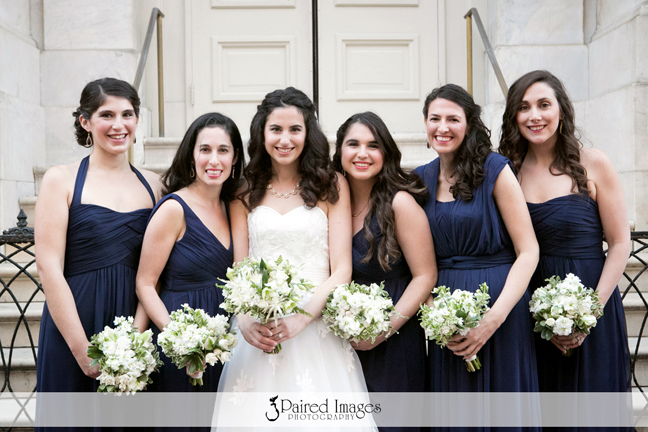 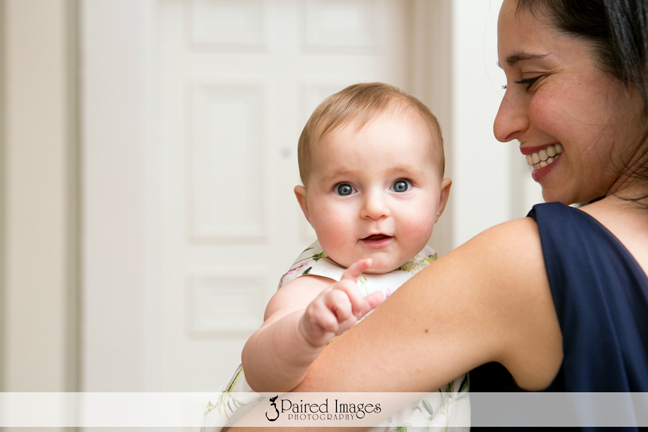 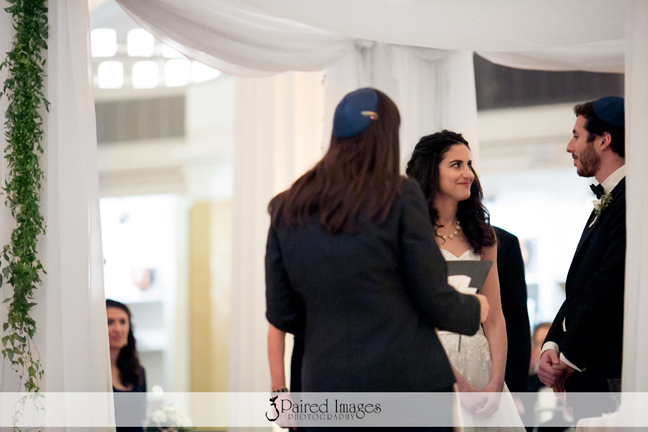 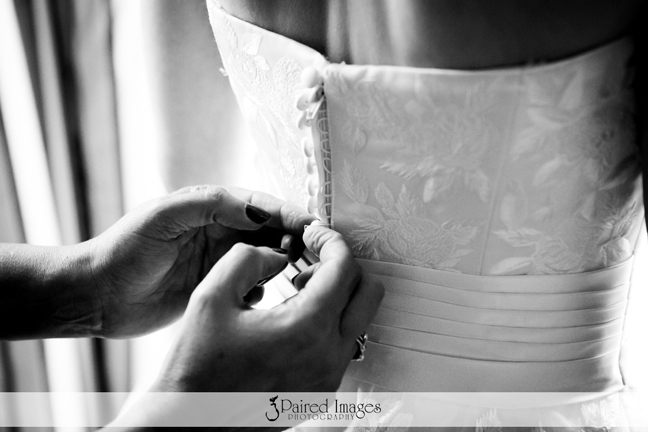 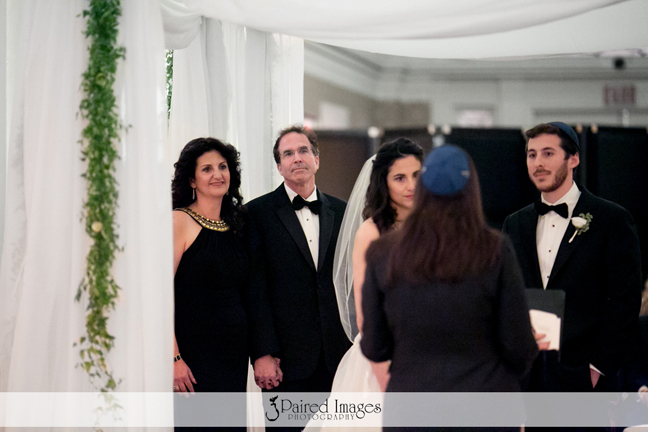 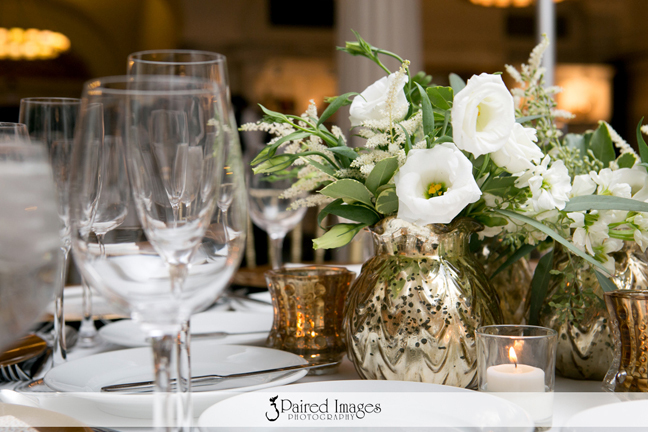 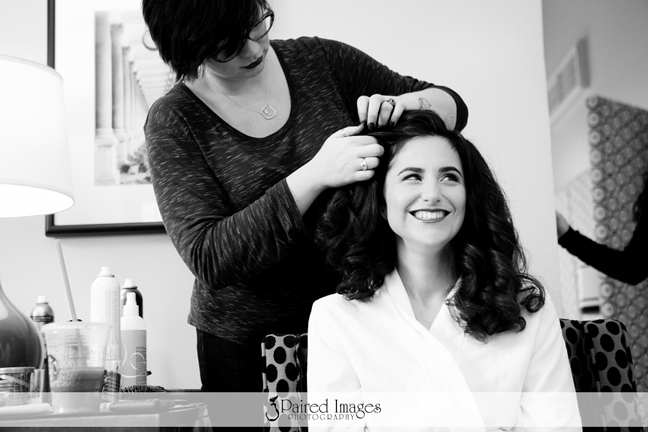 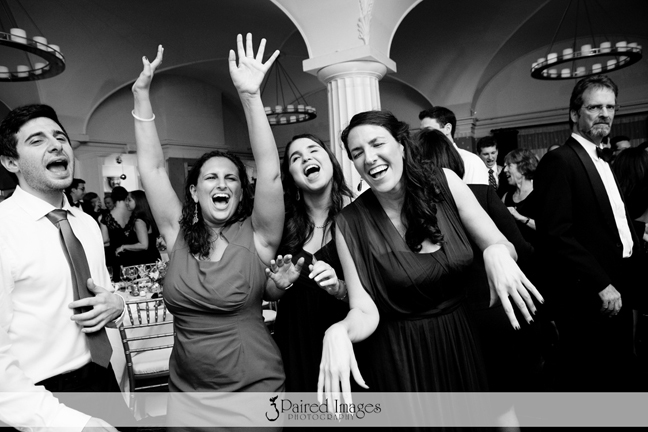 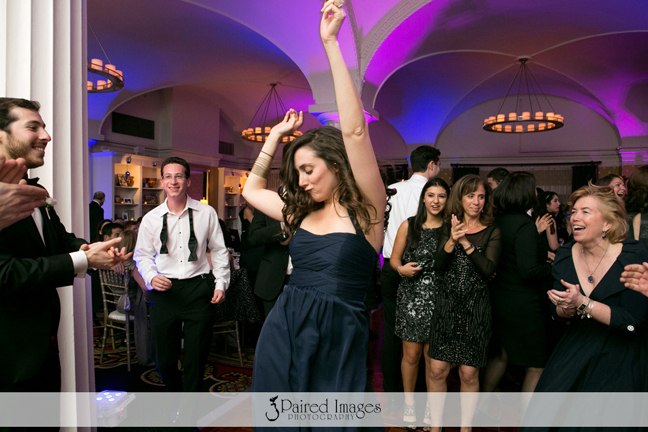 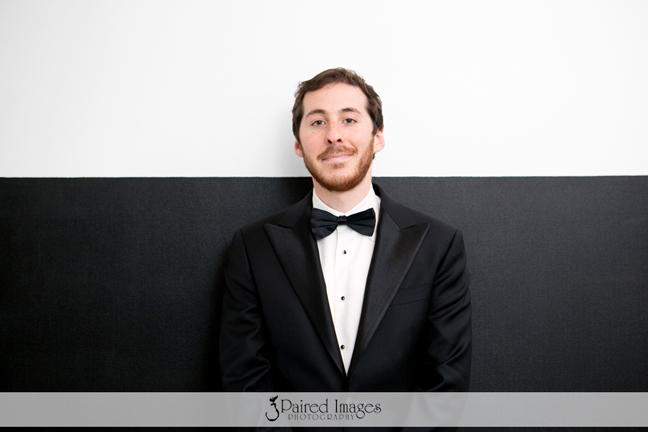 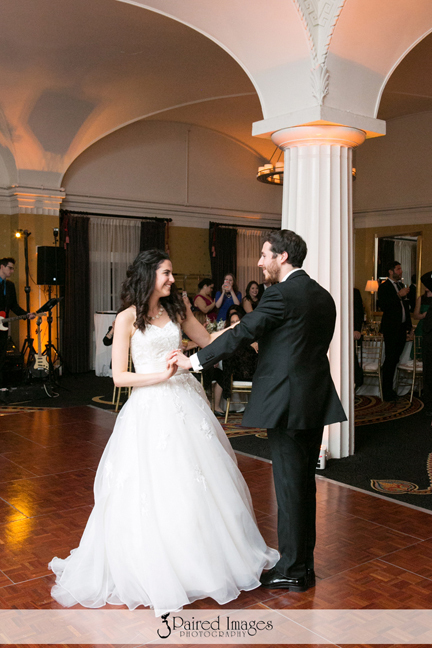 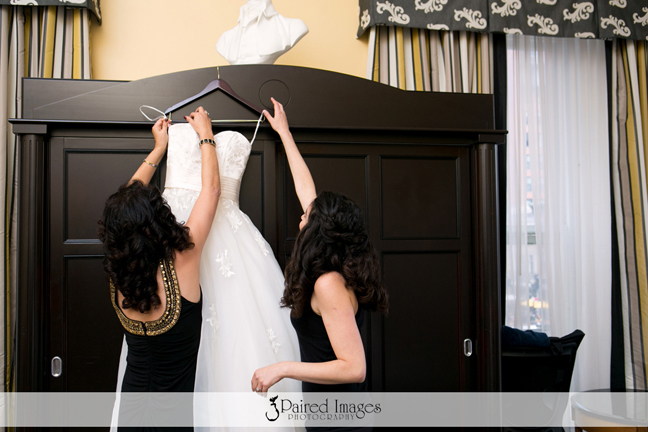 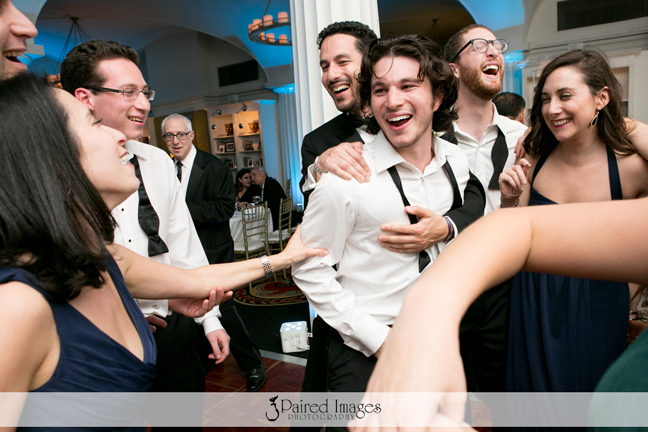 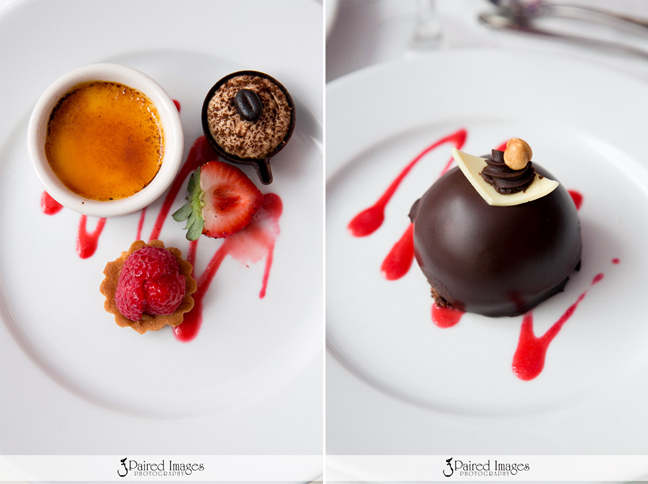 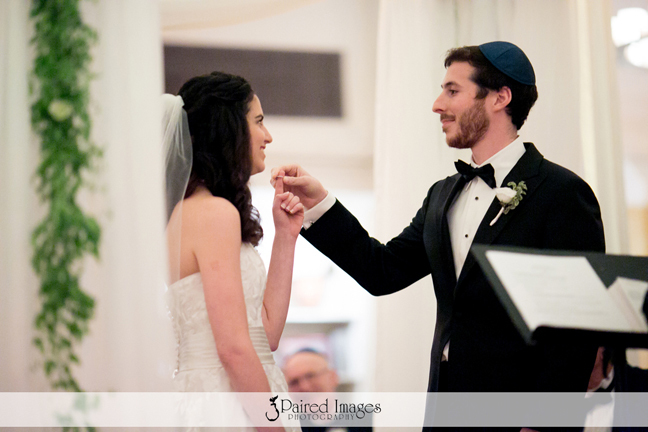 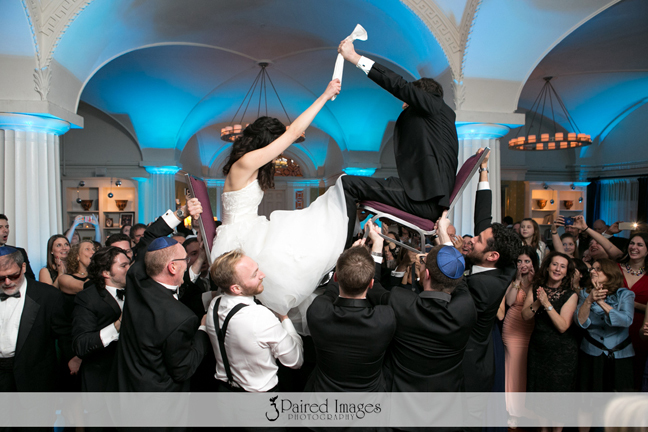 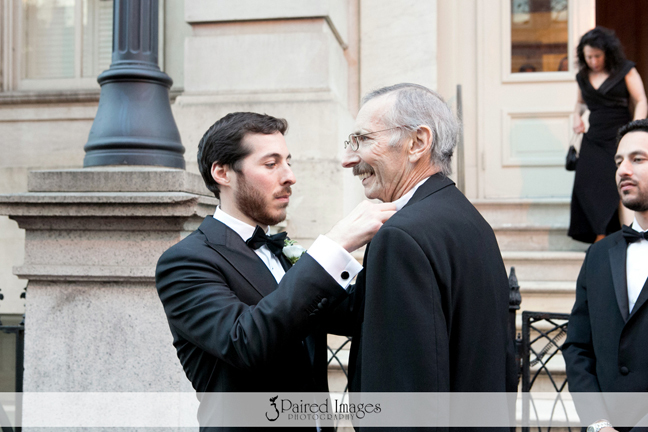 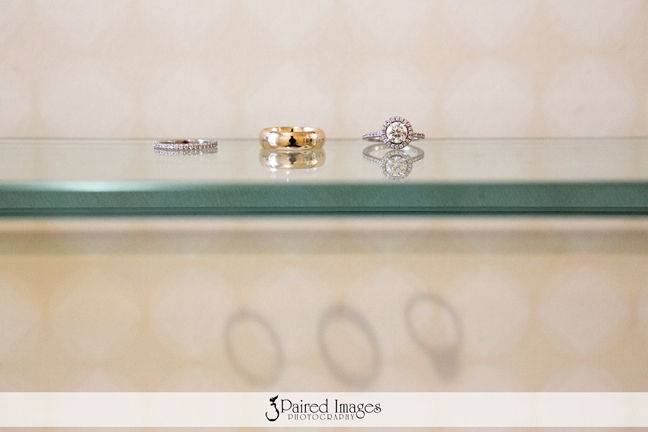 You’ll still be able to get great service in the DC area from Jess via Jessica Latos Photography (her solo project). 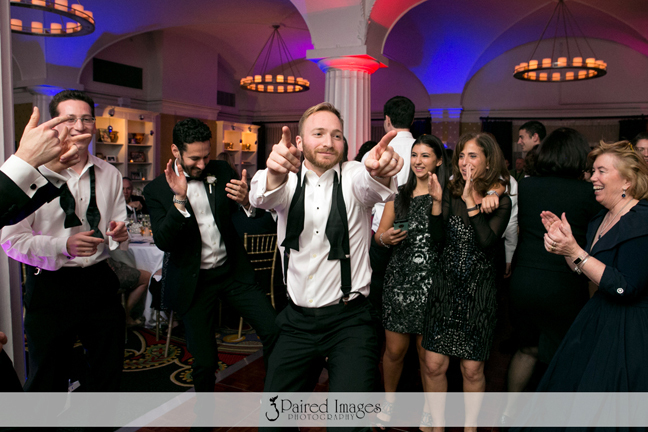 And stay tuned for a link to follow my 2016 adventure. 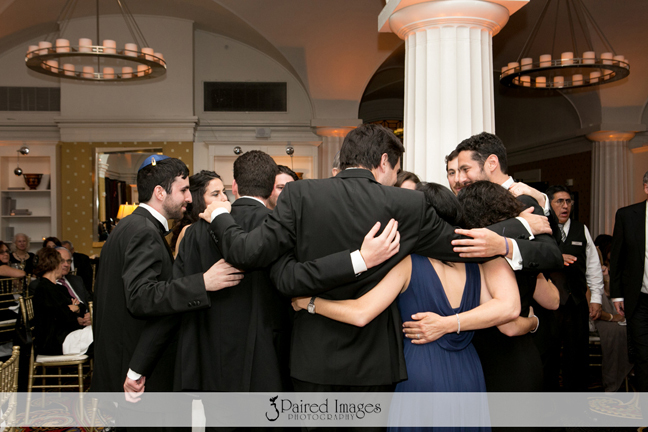 But we will miss working together. 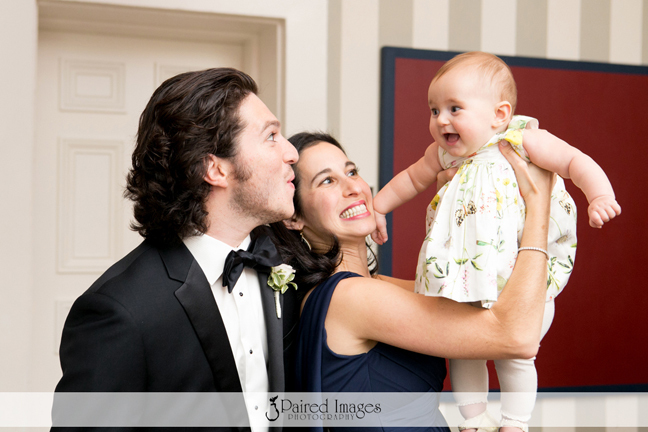 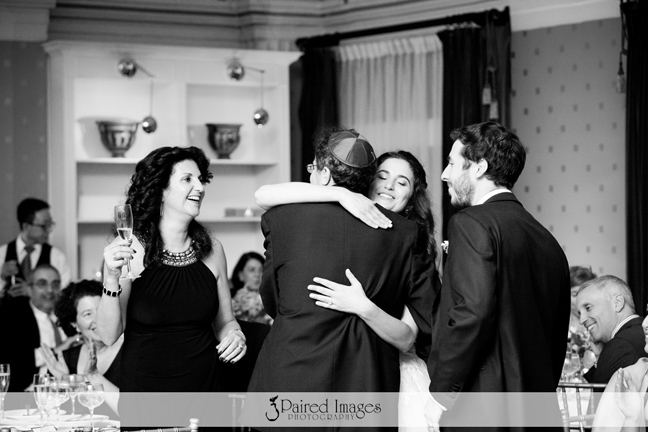 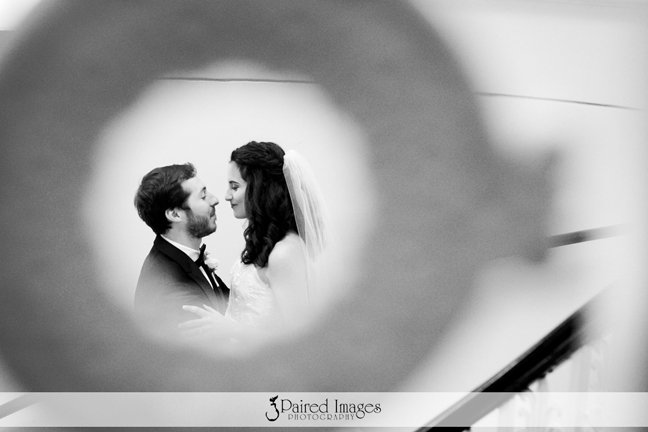 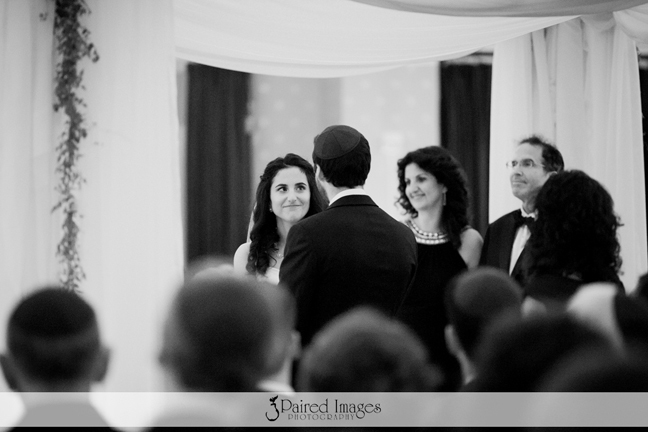 But back to the pair below… this wedding was all about family. 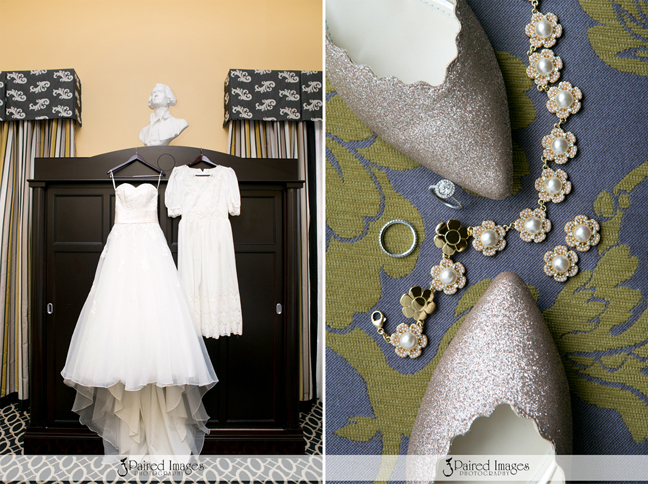 In the first image, the wedding dress is hung next to the mother of the bride’s wedding dress, which the bride wore for the rehearsal! 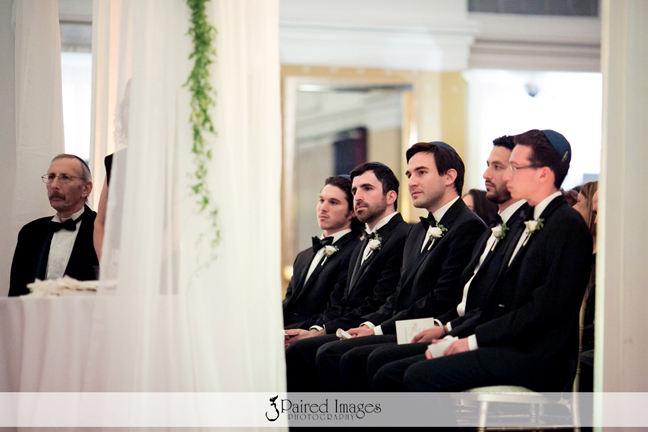 Most of the wedding party were siblings and there were so many great speeches about family. 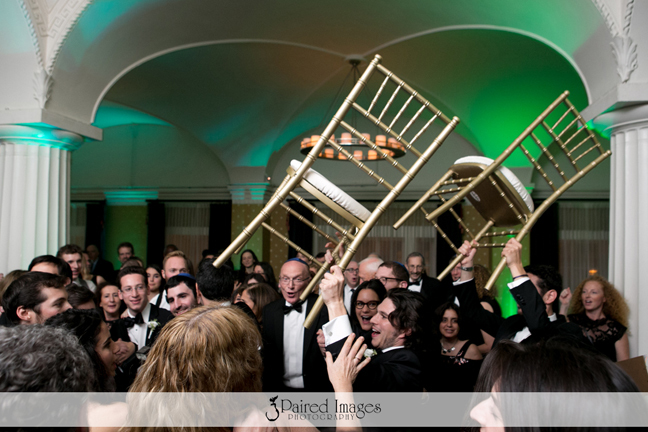 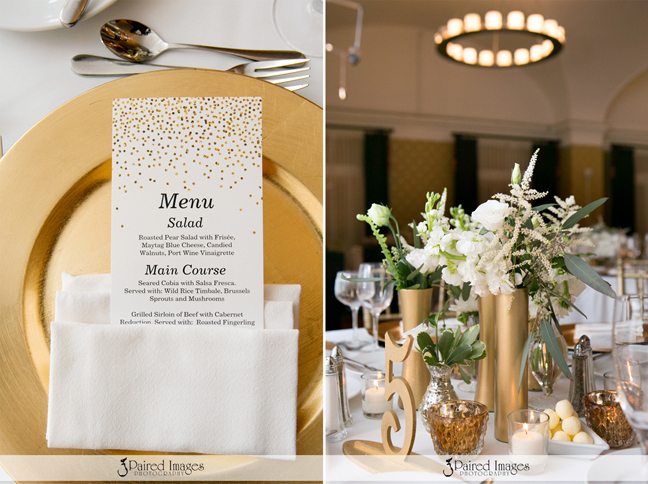 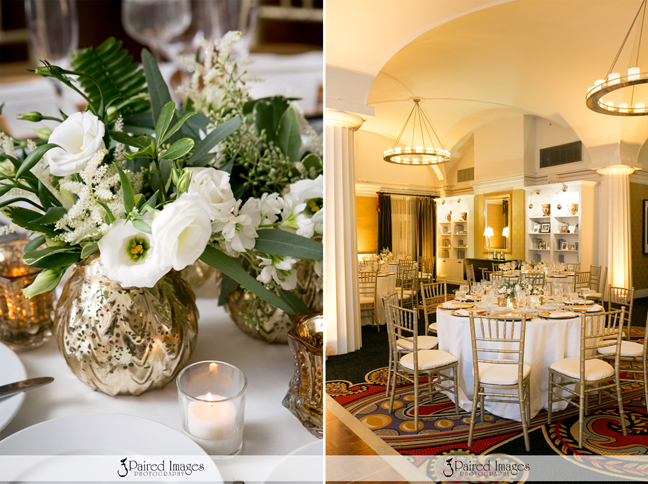 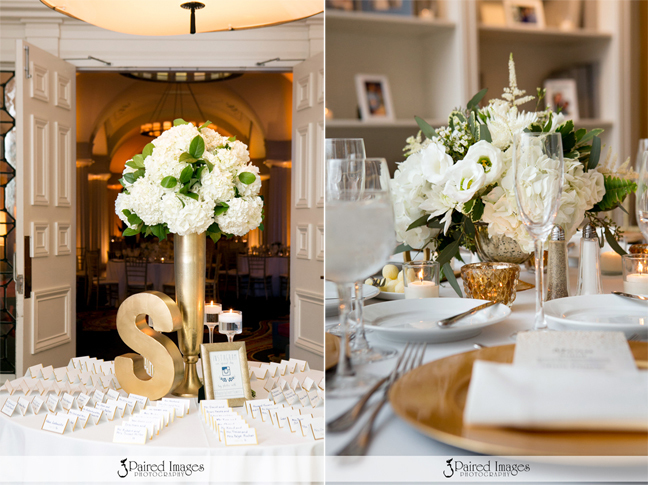 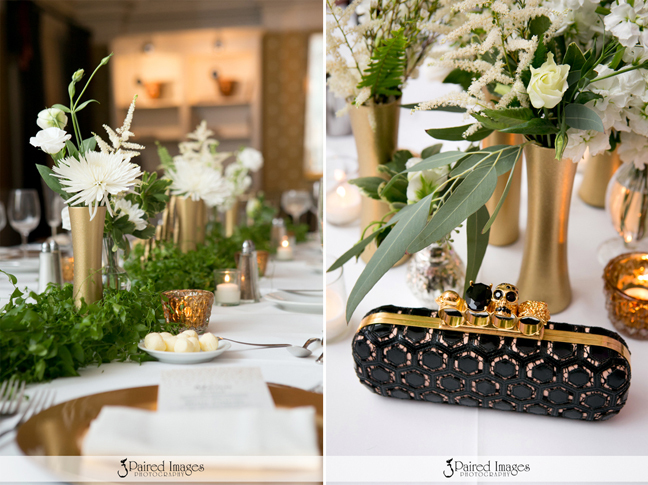 The white, greens and golds complimented the Hotel Monaco’s ballroom perfectly, while the funky lighting created a great party atmosphere. 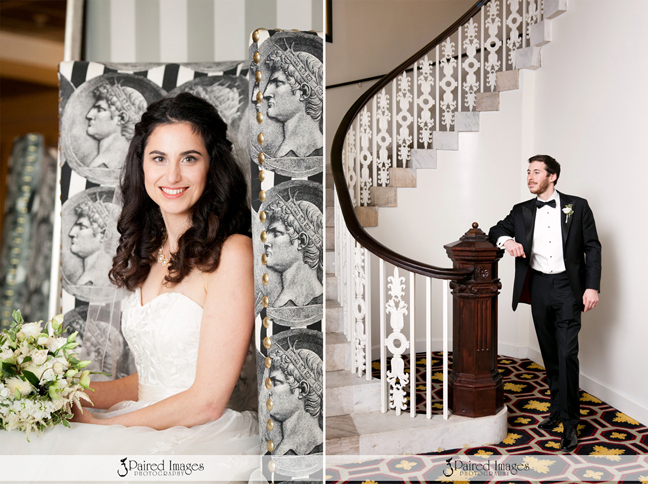 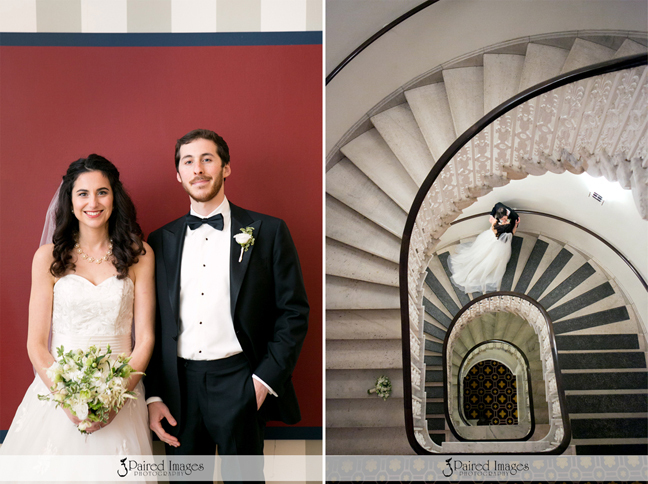 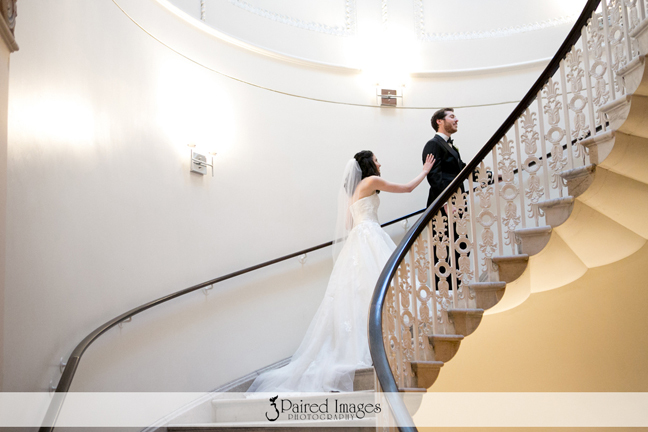 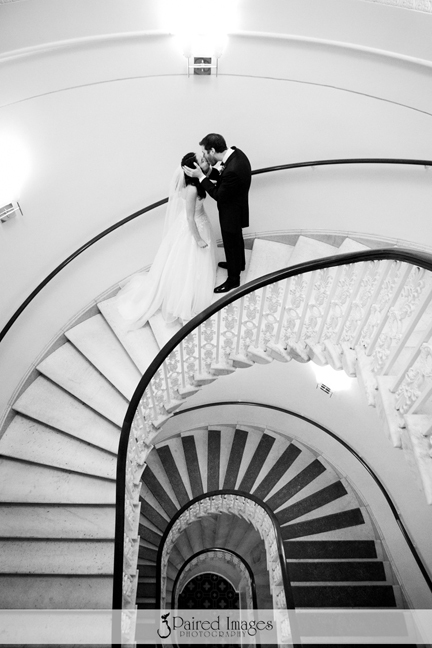 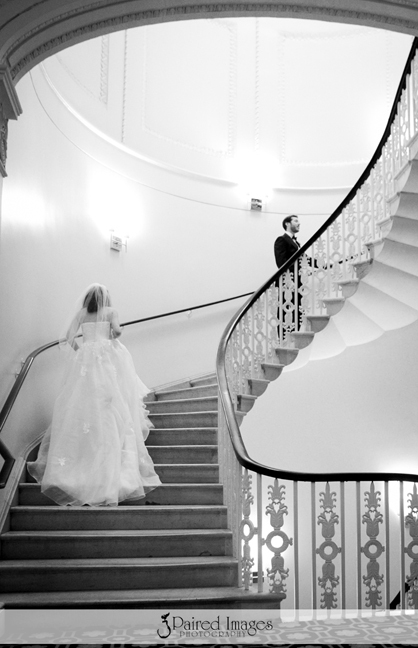 And who can resist a first look on a beautiful stairway!